My interview with the Christian theologian, Vicky Beeching for Faith In Feminism. VB: Mo, do you believe that a person can hold the Muslim faith and a passion for women’s equality easily in harmony, or are they a difficult combination? MA: There is a silent revolution taking place. It is one where religion is returning to the fore but more than that – it is that its return is being pioneered by women around the world. This revival of an enlightened spiritual narrative which combines orthodoxy with real cutting edge work on social justice and the welfare of others, could perhaps, only be pioneered by women and in our time. VB: Do you feel it’s unfair when people describe the Abrahamic religions of Christianity, Islam and Judaism as ‘patriarchal’? Many would accuse the Muslim faith of seeming anti-women’s equality? MA: The shocking truth is that to judge Islam by the worst conditions for Muslim women around the developing world is to create an ugly caricature, one which denies the geo-political machinations behind events and the balkanisation of women’s rights in these lands. The truer picture is that which we see when the rivers or confidence, empowerment, education, peace and prosperity flow together. We can only ask that the world looks towards Yemeni feminist Nobel prize winners like Tawakul Karman, as the real face and voice of a modern, politically engaged and socially astute Islam, rather than those with a Talibanised view of education and equality; it is a hard and closed thinking which wanders around in the shadows beyond the light of Islam. In truth, we may even find that a modern, enlightened Islam has much to offer a West which today, still struggles to find the right settlement for those balancing influences of sexuality, equality and feminism. VB: Some might ask whether any key women were part of shaping Islam’s doctrines and practices, as the Prophet was male. How would you answer that? MA: Any discussion on feminism and Islam might start with some thought about a quite remarkable woman – Aisha. Despite the best and most accurate current historical thinking reflecting she may have been as old as 18 or 20 years of age at the time, Aisha has been greatly maligned throughout history as the child bride of the Prophet. As is often the case for strong women throughout the ages, confluences of patriarchy, religious leadership and outright hostility have culminated in her most unjust treatment – an audacious attempt to bring in to question the achievements of a quite remarkable woman. VB: So Aisha’s role was very key? MA: Absolutely – no other religion has a woman at the heart of it, as Aisha is to Islam. Further than this, no other religion owes as much to one woman in sheer scale of contribution and development. Not only was she the greatest jurist of her era, with the Prophet and his companions consulting her regularly due to her superior knowledge, intellectual acumen and understanding of the faith; her work lead directly to the development and methodology of jurisprudence and scholarly interpretation. She was a medical physician, a judge and a convert; the wife of the Prophet and compiler of the strongest chains of narrations relating to his life and works. To be clear, the religion of some 2bn people of the world would not exist as it does today, without the pivotal and central role of this woman – the mother of the believers. VB: Are you frustrated by the misogynistic reputation many of our religions have gained? MA: Yes. It’s quite astounding that the religion which has at its centre a woman such as Aisha, an entire chapter of the Quran called the women and another dedicated to the mother of Christ; should now stand in the dock accused of the worst manifestations of misogyny and abuse towards women. It is a charge which needs to be refuted and with some vigour. VB: How has Islam defended the rights of women throughout history? MA: Islam created what was effectively, the first written bill of rights for women. In an era when female infanticide was common place, Judaeo-Christian traditions had provided no limit on the number of wives a man might have and they were inheritable as chattel. In addition to banning the practice of female infanticide, Islam created a legal basis where women were entitled in their own right for the first time, to own businesses, marry by choice, vote, inherit, and divorce. Islam conferred additional rights onto women such as rights over their husbands and fathers. A married woman in Islam is entitled not to work if she so chooses, to be provided for, and her husband’s income –quite literally – is hers, since the shariah forbids him from compelling his spouse to pay towards the bills and upkeep. Muslim men everywhere will no doubt be breathing a collective sigh of relief as, due to the generosity of women-folk, this is not enforced too stringently. VB: So in your opinion, is shariah law a good thing for women’s equality? MA: Yes – the historical context is fascinating. For centuries, non Muslim women living free and in accordance with their faith and traditions in the Ottoman Empire, often turned to the shariah to enforce their rights which were protected to a greater extent than was available under the secular common law known as Qanun. A religion where gold and silk is the exclusive preserve of women and which confers upon them rights over their men – sexual, emotional and spiritual – has now also become the focus for a new great debate on feminism in the modern world: the rise of the female convert to Islam. VB: Has the practice of women converting to Islam later in life created a shake-up, or is this something that has frequently happened over the decades? MA: Let me tell you about one example of a feminist converting to Islam. Born in 1875, Valentine de Sainte Point was a leader of the French feminism movement. Her uncle was the French philosopher, Lamartine, someone she placed in high regards. Having thrown herself into a hedonistic lifestyle, ‘liberated’ and flagrant and gratuitous, Valentine became a French avant-garde intellectual. She was a dancer, poet and artist, and at the beginning of the French suffragette movement, she became recognised as one of France’s foremost feminist thinkers and a key figure in the futurist movement. VB: Has she written anything we could read today? MA: Yes, her first key work “The Manifesto of Futurist Women” is still highly considered today. In 1913, she penned her most infamous piece “The Futurist Manifesto of Lust” – a reflection of her sexual liberation, the female feminine essence and a celebration of human sexuality and lust. VB: So she converted to the Muslim faith? MA: Yes, in her search for authenticity, a real and sincere role for women, she converted to Islam becoming known as Rawhiya Nour al Din. From the global capital of eroticism and feminism, to orthodox Islam; it is a path which those who believe Islam to be a thing contradicting femininity and sexuality, equality and liberation for women, will struggle to understand. For Valentine, Islam was the pinnacle of precisely those values. VB: Is this trend of women converting to Islam on the rise? MA: It has been estimated that there are some 5,000 converts (known as reverts) to Islam in the UK each year. Some three quarters of these are women, the overwhelming majority of whom are white, European born and educated. Arguments can be posited about the failure of the sexual revolution where women were sold the myth that they could be everything to everyone, or that modern reductionism and equality has driven a horse and cart through traditional models of male-female interplay. All of these things albeit components, undermine and ultimately disenfranchise women and disconnect them from their spiritual journeys; individual stories and personal searches for peace and completeness, a thing we all so desperately need today. 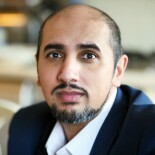 This entry was posted on 06/04/2015 by Mo Ansar in Diversity, Interviews, Women's Rights.